The Republic of Zimbabwe is a “landlocked sovereign state located in southern Africa, between the Zambezi and Limpopo Rivers.” Zimbabwe has been an independent state since April 1980, with Mugabe’s authoritarian regime, also known as the ZANU-PF, being in charge for the past 36 years. Over the yearsZimbabwe has seen many negative impacts to their society as a direct result of the Mugabe regime; including, massacres to opposition groups to the ZANU-PF, state-controlled media, rigged elections through intimidation, economic collapse caused by hyperinflation, ZANU-PF leaders receiving exceptional benefits, contested land reform, informal business owners punished by ZANU-PF, and many other negative factors. It is essential that an opposition group can successfully overthrowthe Mugabe regime to create a healthy democratic society. Opposition efforts have been attempted through movements such as #ThisFlag which “has remained independent from any political party, with the message of the movement focusing on anti-corruption and lack of basic services”, an effort in 2003 by two cricket players wearing black armbands during the opening match against Zambia to show that democracy has died, and many other protest efforts have been attempted in opposition to Mugabe’s policies. These efforts have shed light on the turmoil that the authoritarian regime has caused to the society.Still, the opposition efforts have been unsuccessful in bringing Zimbabwe to true democracy. In the remaining sections of this paper I will outline a democracy promotion plan that empowers the people and allows them to overthrow the Mugabe regime. This is a three-step plan to garner support from a wide variety of Zimbabwe citizens, creating a message forcing Mugabe to step down and be replaced by an official democratic government: 1. Create an opposition force based on nonviolence and focus on limiting the money coming into the government through the diamond industry, 2. Push for free media, and 3. Raise awareness to the rigged elections. Since Mugabe has been in power, the opposition groups that have surfaced have created no traction. These groups possess unclear motives, lacksupport and no true leadership. Movement for Democratic Change (MDC), the main opposition group,split into two groups in 2005 and has been unsuccessful in democratization;this is mainly due to Mugabe’s regime posing violence on any person that opposes the ZANU-PF. Creating a new opposition group that has a clear message, unites Zimbabweans and is founded on strong leadership will bring the Mugabe regime to rest. This opposition group will be called, The Blood Diamonds, and will seek to restrict the sale of Zimbabwe diamonds internationally; furthermore, attacking a main revenue source of Mugabe Regime, which will restrict their abilities to function properly. The Blood Diamond’s message will be focused on democracy promotion and creating a stronger economy. This opposition group will focus on nonviolent protesting to successfully communicate their message to domestic and international influencers. The Blood Diamonds will be founded on a strong secretive team who have the power to market their message to Zimbabwe and internationally. This team will promote to the international community that the diamonds mined in Zimbabwe are from an authoritarian regime who harm and kill their citizens; ultimately making the diamonds blood diamonds. The team will communicate their message through their logo, a blood diamond, and will post signs throughout all the major cities in Zimbabwe of a red diamond and label it “The Blood Diamonds”. Branding The Blood Diamond’s with a red diamond is essential, as Srdja Popovic states, “having a strong logo would help people make the connection that all this unrest [is] related to something much larger than themselves.” The Blood Diamond’s will also purchase mass amounts of red rhinestones and strategically place them throughout government buildings and public places to gain the attention of the media.This opposition group will also use humor to appeal to a wide variety of people, as Popovic mentions, “Laughter and fun are no longer marginal to a movement’s strategy. In Many cases, they are the strategy.”The Blood Diamonds will make it necessary to dress as an old tyrant during rallies to incite political humor over Mugabe, who is 92 years old. These efforts will generate attention to the cause from the public and will attract large amounts of people to be involved. Once the team has gained the attention of the media, they can communicate their message to the local community and the international community. This message will attract a variety of individuals including: the large number of those who are unemployed, the students who are struggling to find jobs out of college, the informal business community, the veterans, the people without food, the people who can not withdraw money from ATM’s and the people who are not a direct benefit to the governments luxuries. As the message accumulates interest, the international community will no longer want to participate in the blood diamond trade of Zimbabwe; therefore, the revenue of the government will substantially decrease and many government programs, benefits, and salaries will immediately be affected. Resulting in “the civil servants – potentially including the police and military – will join and further grow the protests”. As the protest become stronger with the lack of military and police power, with police and military joining the opposition, Mugabe will have no choice but to retire his power to the opposition. The influence of media over a population is a strong force that can shape the public opinion. Zimbabwe’s media has been a critical piece in allowing Mugabe to remain in power for 36 years, “a large portion of media is government owned, and refrains from criticisms of either Mugabe or ZANU-PF.” Along with being government owned, the Access to Information and Protection of Privacy Act requires that a journalist must be licensed and if one is not licensed they can face serious criminal charges. This required licensing gives the government the ability to filter which journalist are allowed to participate in the media. Recently Zimbabwe’s independent media has increased losing “the strict pro-ZANU-PF stance it once had”. The Blood Diamonds must use this opening as a pathway to reach public opinion. 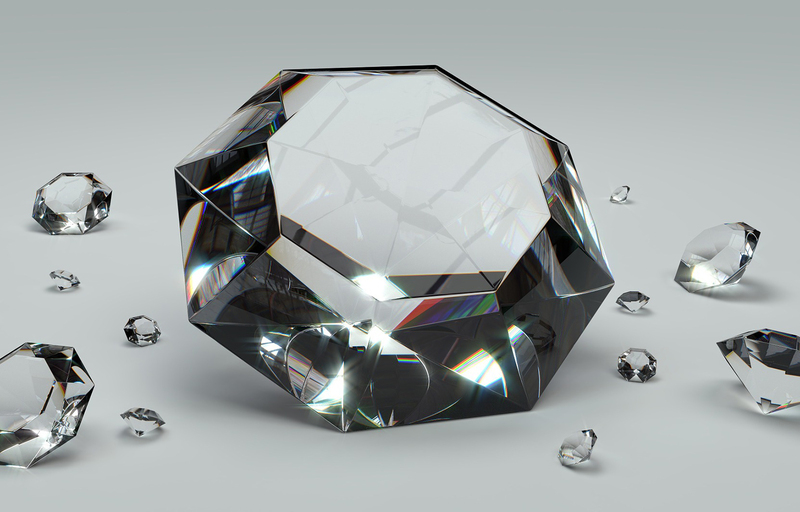 Through The Blood Diamond’s marketing techniques, the independent media will cover their events, which will raise awareness and support for democratization. Mugabe is known for using violence against his opposition. He uses violence to intimidate the opposition, makingpeople frightened to support the opposition during election cycles. As stated in the Analysis of the situation in Zimbabwe, “elections are riddled with violence against opposition supporters, or even those just thought to be opposition. Particularly violent was the run-off election in 2008, after Mugabe lost the initial election. Clearly feeling out of other options, the mass oppression that followed caused Tsvangirai to pull out, thus securing victory for Mugabe.”This violence intimidates opposing political parties causing supporters to fall out. The Blood Diamonds will increase awareness that, Mugabe, is rigging elections through intimidation; furthermore, creating rallies that attract the independent and international community. Gathering support from countries such as the United States will create the need for election monitoring to implement free and fair elections. Creating a new groupwith a clear plan, unity and strong leadership will ensure the success of anyopposition political group. The Blood Diamonds will bring attention to the international community that the diamonds they are buying are from an authoritarian regime who brings violence among their people. This will restrict the income of the government, making it hard for the regime to operate effectively and will tear down the regimes economic pillar of power. It is also essential that The Blood Diamonds remain nonviolent, as Popovic states, “if you’re a cop, you spend a lot of time thinking about how to deal with people who are violent;” therefore, the cops violent actions toward nonviolent protests will be seen as cowardly to the public. The second step that is imperative to democratization is for the team, The Blood Diamonds, to increase the presence of free media so their message can be heard. The final step that must be taken to achieve a fully democratic state is to hold free and fair elections. The Blood Diamonds will be able to promote the idea of free and fair elections to the domestic and international community through protests and rallies. This three-step plan will allow the citizens of Zimbabwe to overthrow the authoritarian regime and ensure economic stability in the future. Canvas. "Analysis of the Situation in Zimbabwe, September 2016." (2016): n. pag. Print. Popovic, Srdja, and Matthew I. Miller. Blueprint for Revolution: How to Use Rice Pudding, Lego Men, and Other Nonviolent Techniques to Galvanize Communities, Overthrow Dictators, or Simply Change the World. New York: Spiegel & Grau, 2015. Print. "Zimbabwe." Wikipedia. Wikimedia Foundation, n.d. Web. 29 Nov. 2016.